Here is an attractive specimen of copper from Northern Michigan's Keweenaw Peninsula that is a very shiny rich red-orange color. It features some crudely formed crystals, and is damage free. Pieces like this are referred to as float copper. 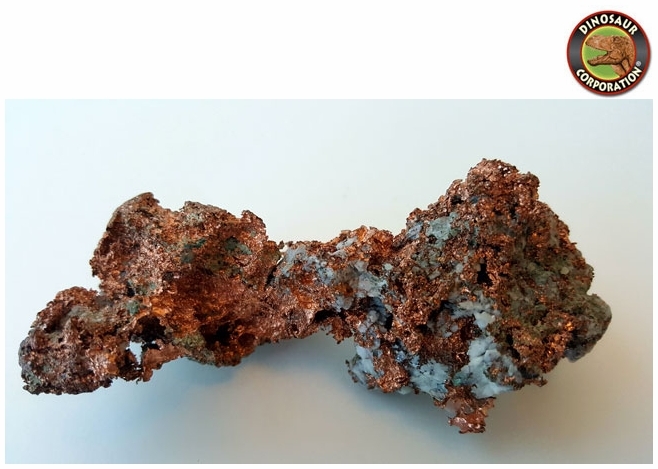 This piece was found coated in calcite in a vein deep down in the mine, and the calcite was removed with acid to reveal the shiny copper inside.